Tencent And Bluehole To Release PUBG – PlayerUnknown’s Battlegrounds For Mobile Devices[Android, iOS]. But Not Everywhere? 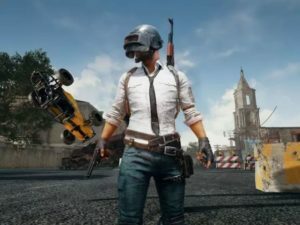 PUBG Is One Of The Top Selling Video Game In The World, Developed By South Korean Firm Blue Hole. Now, Tencent And Bluehole Jointly Brining This Game To Mobile Devices. The Bad News Is You Need To Wait For A Long Because They Will Launch The Game In Chinese Market First. Prior To This, PUBG Will Get A Makeover[In Order To Meet Chinese Rules]. However, You Can Experience The Same Gameplay Like PlayerUnknown’s Battleground Right Now On Your Android. Thanks To NetEase For Launching Of Rules Of Survival Game On Android. When It Comes To Survival Games, NetEase’s Terminator 2 And Wilderness Are The Most Downloaded Mobile Games In China. Match Starts With Player[Players] Parachuting From A Plane Onto A Map Area. You Have To Quickly Determine The Best Time To Eject And Parachute To The Ground. Once You Land, You Can Search Buildings, Other Places To Find Weapons, Armor, Vehicles, Clothing, Other Equipment. After Every Few Minutes, Safe Zone[Playable Area] Of The Map Begins To Diminish/Shrink. So, To Survive Long You Need To Be In Safe Zone. A Plane Will Fly Over Several Parts Of The Safe Zone Map And Drop Items/Loots Which Are Unobtainable In Normal Gameplay. At Last Of Each Round, You Will Get In-Game Currency Based On Your Gameplay Performance.